In the year 1947, Jack Rohrbach, vice president of Shuron Ltd. at the time invented the Browline eyeglasses. These were first sold by him under the"Ronsir" model name and they featured interchangeable bridges, eyewires, and "brows." This made it possible for wearers to completely customize the size, fit, and also the color of their glasses. Back then, most eyeglass manufacturers only offered a very limited number of colors and sizes to choose from. 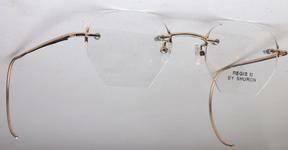 This made Browlines a completely unique way for the eyeglass wearer to customize their own personal appearance. 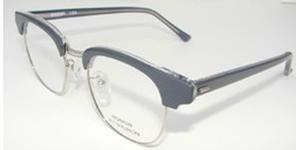 This new style of eyeglasses became highly popular almost immediately among eyeglass wearers and as a result of this, many other eyeglass manufacturers began to produce their own version of the browlines and during the decade of the 1960s there were six manufacturers that controlled the browline market. These companies were Shuron, Art-Craft Optical, Victory Optical, American Optical, and also Bausch and Lomb, which would name their model the Ray-Ban Browline. Each of these six companies tried to make their frames unique with the addition of a plaque on the upper corners of their frames. These plaques also served to cover the rivets that attach the temples to the frame. The popularity of Browlines remained strong through the decade of the 1960s, but this popularity faded when advancements in plastics manufacturing made it possible for eyeglass manufacturers to even further customize their eyeglasses by making them with solid plastic frames, allowing them to be made into a bigger variety of shapes, sizes, and colors. In the late 1960s, the rise of the hippie subculture led to a drastic decline in the popularity of Browlines but in the late 1970s and early 1980s the anti-disco movement made the Browlines popular again. In the mid-1980s a pair of Shuron Ronsirs worn by Bruce Willis on the popular series Moonlighting and today only two companies still manufacture Browlines, Shuron, and Victory Optical.